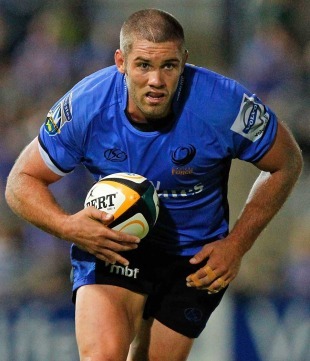 Matt Hodgson and Sam Wykes are in line to return from injury when Western Force host the Cheetahs in their first home fixture of the season in the redeveloped nib Stadium on Saturday night. Wallabies winger Nick Cummins remains on the sidelines, however, as he is yet to overcome a knee injury. Hodgson missed the win against Queensland Reds to attend the birth of his first child, but he was also grateful for the rest having aggregated a hamstring injury against the Bulls in Pretoria. Wykes, meanwhile, has recovered from the ankle injury sustained in training that forced him to miss the match against Queensland. Force coach Michael Foley said the team had to build on the victory against Queensland if they were to win over fans in Perth long term. "An important part of our development will be to earn the respect of our people through the way we perform in our home," Foley said. "Last week, we showed great character in the way we supported each other through the 80 minutes. To hold the Reds tryless was important, as we face another strong attacking side this week." The Force face in-form opponents, with the Cheetahs arriving in Perth after recording back-to-back away wins against the Highlanders and New South Wales Waratahs. The visitors, however, must overcome the loss of fly-half Johan Goosen to a season-ending knee injury. The match will pit Western Force fly-half Sias Ebersohn against his twin - Cheetahs centre Robert Ebersohn - for the first time. It is also notable for marking the 50th Super Rugby appearance of Force winger Alfie Mafi. The winger has played 33 matches over three seasons for the Force, having previously represented the Waratahs (nine matches in 2008) and the Brumbies (seven matches in 2009 and 2010).